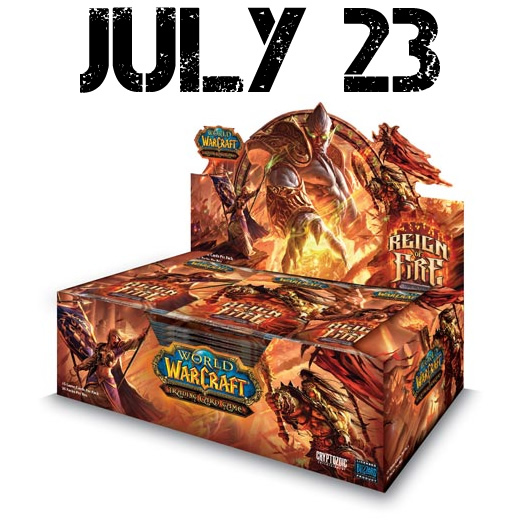 Reign of Fire, the newest expansion in the Timewalkers series, is set to release on July 23rd. Now, as for the new loot contained in this upcoming expansion to the WoW TCG...there is none. That's right, you read that correctly, there is not going to be any new loot in Reign of Fire. Instead...Reign of Fire will feature every single loot item that has ever been released for the WoW TCG! Pretty awesome, right!? In the tradition of time travel - a prevailing theme in the Timewalkers block - the folks at Cryptozoic have elected to re-introduce loot cards from bygone eras. I'm talking... Saltwater Snapjaw, X-51 Nether-Rocket, El Pollo Grande, Foam Sword Rack, Owned!, Ethereal Plunderer, and even the highly coveted Spectral Tiger! All of them will be in there! What’s it like to pull a Spectral Tiger?